A Personal Bonus Challenge will be to finish the following books in progress, realizing I will probably need to start over. My sign-up post is here. Year One Wrap-Up post is here. The Classics Club: Midpoint Report is here. 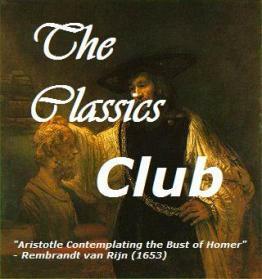 The Classics Club: 50 Questions is here. What a lovely blog! I look forward particularly to reading the Sunday Salon. Glad to have found you. I read Dorian Gray recently (reread), too. Great list. You've inspired me to join in! This is a wonderful list, and compiles so beautifully with the evolving list being included. I may try doing something similar. I would love to look back and see my list in motion, so to speak. Toady - The evolving list is definitely fun to look back on. I never meant to read so much Trollope, but fell in love with his Barsetshire novels. Have a feeling I'll be adding all six of the Pallisers soon!